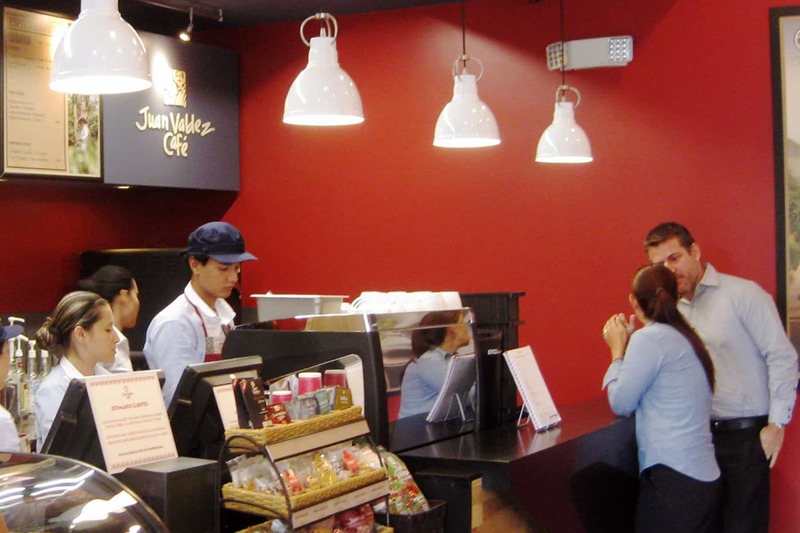 Colombian coffee giant Juan Valdez on Thursday officially inaugurated the first of five coffee shops it plans to open in Costa Rica this year, representing a total investment of $2 million. The coffee and souvenir shop launched operations earlier this month, however, company officials held the official opening ceremony this week. The franchisee Corporación JV invested $450,000 on its first store located near La Sabana Park, west of San José. They currently employ 20 people directly and 24 indirectly. The other stores will open in Desamparados, south of the capital, and in the provinces of Alajuela and Heredia. In total, the company expects to employ some 300 people by the end of the year. Hernán Méndez, President of Procafecol, the company that manages the commercial expansion of Juan Valdez, said they are very excited to launch operations in Costa Rica. “It is a big challenge for us to enter highly demanding markets and also represents an important step for our brand. We are confident that the quality of our coffee and the warmth of our service will fit well with Costa Ricans’ demanding palate,” Méndez said at the opening. The Colombian company in recent years has shown interest in expanding its operation in Central America. Currently they have stores in Panama and El Salvador and on Thursday Méndez confirmed plans to open 40 locations in the region over the next five years, 15 of them in Costa Rica. Juan Valdez is a fictional character created by the Colombian Coffee Growers’ Federation in 1958 to represent Colombia’s 500,000 coffee farmers, the company stated.